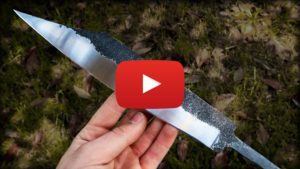 Hand forging a viking style seax blade out k720 (aka O2) high carbon steel. This project is a collaboration with “Epic Workshop”. If you notices some of my equipment is different compared to my other recent videos is because I recorded this project quite some months ago. That’s also the reason why I’m working in short sleeves!